Sweta Chakraborty is a cognitive behavioural scientist, and most recently the Associate Director of the Institute of Science for Global Policy, Washington D.C. She is a former programme associate on pharmaceutical regulation and product liability at Oxford University's Centre for Socio-Legal Studies (CSLS) and an adjunct assistant professor at Columbia University. 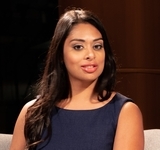 Prior to joining the ISGP, Dr. Chakraborty served as the resident cognitive behavioral scientist at Lootok Ltd., a risk management-consulting firm. She received her doctorate in Risk Management from King's College London and her undergraduate degrees are in Decision Science and International Relations from Carnegie Mellon University. Her primary area of expertise is in science and technology policy options for topics of international concern (e.g., emerging technologies, infectious disease, food/agriculture security, environment and climate issues). Her research has included studies of risk perception, risk and crisis communications, corporate reputational management, risk regulation, and public trust. She has applied quantitative and qualitative research methods developed in the fields of social and decision sciences to study irrational consumer behaviors and public reactions to perceived risks (e.g., GMOs, prescription drugs). She asserts that understanding public perceptions of risk is the necessary first step towards developing communications to address public concerns, recover from negative media backlash, and improve upon levels of public trust. 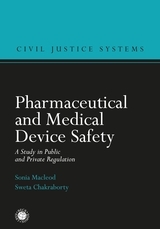 Sweta has over 25 published articles, has contributed to 3 additional books, and is a co-author of the forthcoming book Pharmaceutical Safety: A Study in Public and Private Regulation.